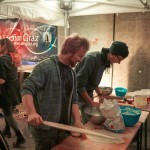 Like every autumn, our traditional and beloved „Flammkuchenstand“ took place on the 6th of November. 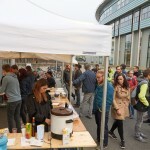 Directly in front of the 16b-building at the Graz University of Technology Campus Inffeld, we could serve delicious tarte flambée to the students and lecturers, later on also self brewed mulled wine. We had many helpers, who weren’t afraid of one or another burn blister. Fortunately we could also welcome many new helpers in our rows. 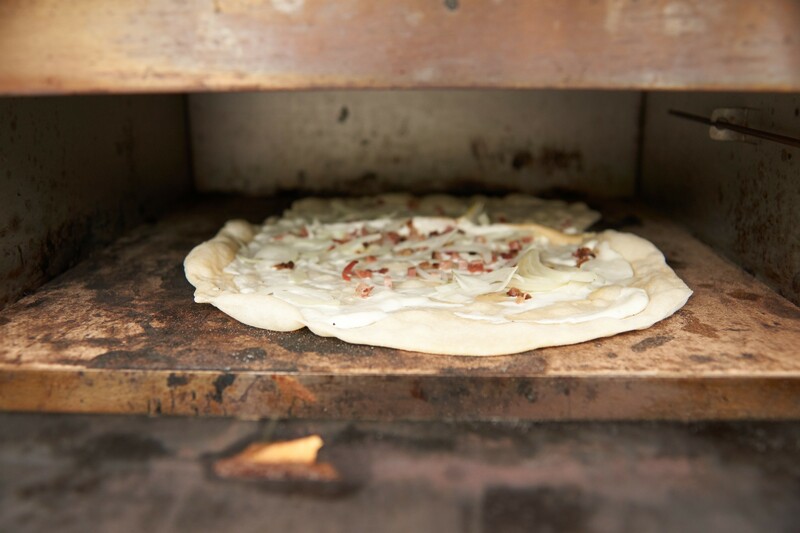 Until late into the night our ovens and kettles were glowing. 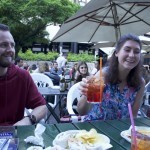 It was a great opportunity for „old“ and new Audio Engineers to get to know each other as well as the AES Student Section Graz. 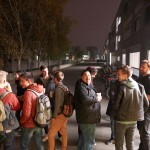 This year’s first breakout-session was a special one – A special spatial one to be precise. 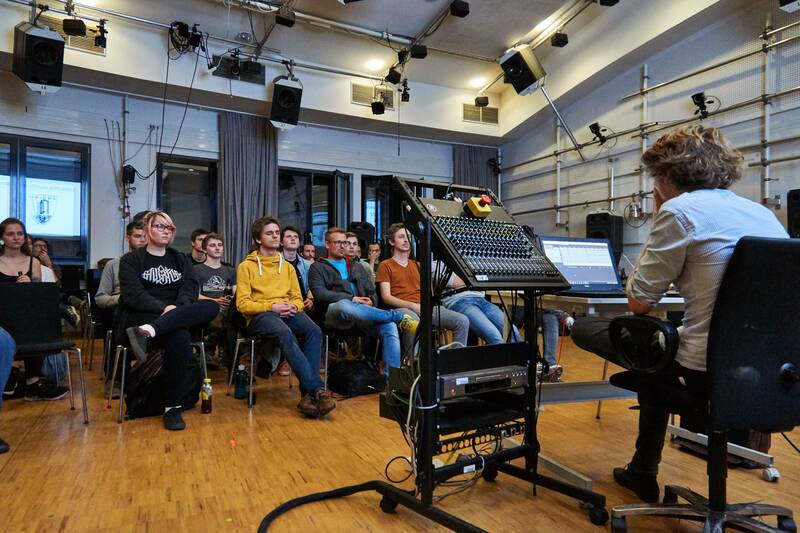 Instead of a bunch of people gathering behind the mixing console in the recording studio, this session had a lot of participants, trying to get a center seat at the IEM CUBE, a loudspeaker hemisphere, designed for spatial audio playback. And while usually the breakout-sessions feature music productions from a wide range of genres, this one had completely different projects. 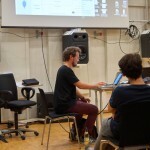 After yet another attempt to explain ambisonics in simple words from board members Thomas Deppisch and Nils Meyer-Kahlen, our collegue Leon Merkel gave a demonstration of his ambisonics reverb plugin, which he will present at the Tonmeistertagung in Cologne. 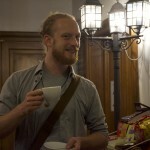 After his talk and his sound examples, guests were invited to test the tool during the break. 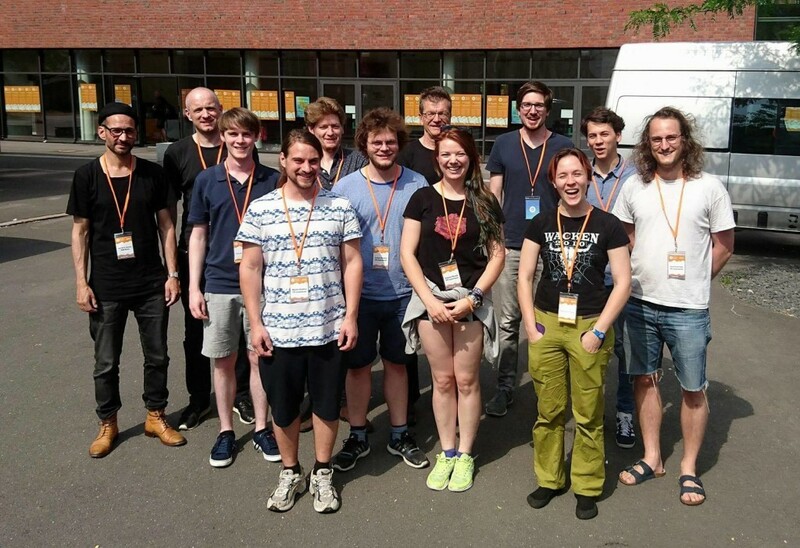 After the break, 3 students from sound design, Clemens Markart, Michael Bernsteiner and Simon Dolliana, showed their fantastic contributions to Europe’s second 3D Audio student production competition, which will also take place at the Tonmeistertagung. We want to wish them good luck for their productions! 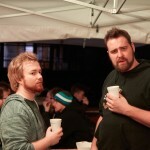 The last project was from the IEM staff itself. Matthias Frank and Daniel Rudrich took the stage to show a recent 360-degree audio/video choir recording and made sure to point out that ambisonics recording isn’t limited to special microphones – recordings with well-sounding large non-coincendet microphone arrays can easily be encoded into ambisonics too. 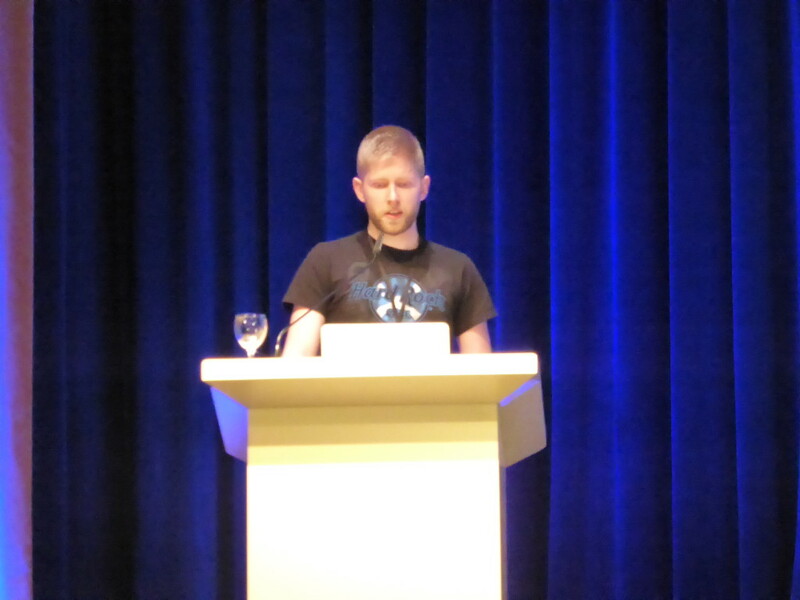 Since Daniel is also the father of the IEM plugin suite, he took the chance to promote his RoomEncoder plugin and asked people to vote for it at the JUCE Plugin Award. Good luck for that too! 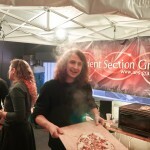 All in all it was a very diverse and successful evening, which was concluded over beer and pizza. We are very much looking forward to the next session. Together with a small delegation of the IEM Graz and our colleagues from the Sound Design course we visited our peers from HAW Hamburg at the klingt gut! Symposium 2018. 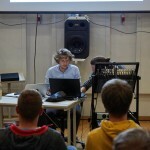 Between 7th and 9th of june we enjoyed various exhibitions, posters, concerts and lectures all about audio development. Doing our part in the conference, Daniel Rudrich (iem) presented the iem PluginSuite; Nils Meyer-Kahlen and Thomas Deppisch showed their cubical loudspeakers and Valerie Quade (Sound Design) won the “klingt gut young artist” award and the whole group of the Sound Design students exhibited their “Jam Session Machine”. See you next year, Hamburg! 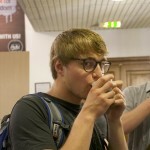 AES Convention Milano – Un espresso per favore! 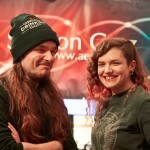 This years’ AES Convention in Milano was a blast! The AES Student Section was present with 25 participants from all levels of experience. 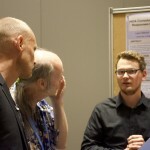 While some enjoyed recording tutorials and mixing sessions, others mostly attended the interesting and diverse lectures or even had a talk or poster themselves. 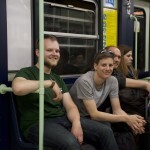 With 12 contributions to talks, posters, workshops and demos from Graz, there was plenty to support. 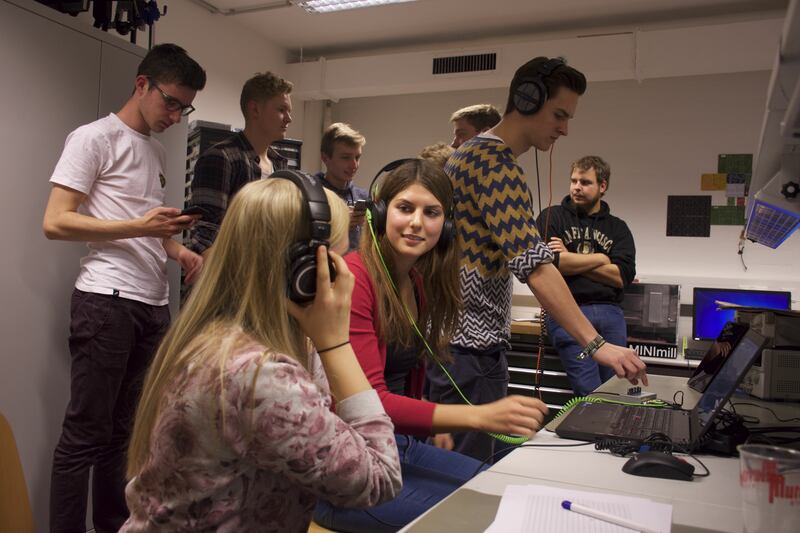 Some of our members also helped with the technology in the large 3D audio room, where the Institute of Electronic Music and Acoustics from our university had installed a large ambisonics system. Also there was a gold price for a contribution to the design competition – congratulations! Apart from the program itself, we took the chance to meet up with other students, always happy to exchange ideas in running a student section. 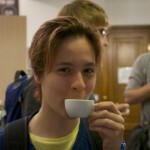 And ontop of all: the italien coffee was great too! Nachdem das Wetter kälter und die Tag kürzer wurden, saßen alle Studierenden vor dem Computer um entweder Serien zu schauen oder um zu lernen. 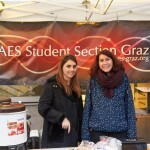 Die AES Studen-Section Graz entschied sich, etwas dagegen zu tun und, naja alle wieder vor einen Computer zu setzen. 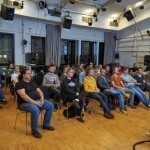 Wir organisierten den “Winter Workshop Wahnsinn”, bei dem wir ein spannendes Paket an Workshops zu Programmen und Programmiersprachen aus Audiotechnik und Elektrotechnik schnürten. Zum einen gab es unsere jährlichen Workshops (Anfänger und Fortgeschritten) für Pure Data, einer graphischen Programmiersprache die sehr stark am IEM Graz benutzt und weiterentwickelt wird. Pure Data ermöglicht uns, Software Synthesizer zu bauen, Sound Design Patches zu realisieren und digitale Mixing Systeme für Multichannel Audio Formate wie Ambisonics oder Binaural Audio aufzusetzen. Als Vortragenden konnten wir Veit Winkler, ehemeliger AES SDA Vice Chair (2010), Toningenieur und langjähriger Pure Data User gewinnen. Unser Kollege Florian Loacker-Schöch hielt einen Wokshop für EAGLE, dem “Einfach Anzuwendender Grafischen Layout-Editor”, einer Software mit der man PCB Layouts und Schaltkreis Diagramme designen kann. Dieser Workshop wurde als erweiterung zu unserem Langzeitprojekt “Klangwerkstatt” gehalten. Bei diesem Projekt arbeiten Studierende zusammen, um selbst analoge Audio-Hardware zu bauen. Zu guter Letzt war es uns eine Freude, auf Grund des großen Interesses zwei Einheiten eines JUCE Workshops zu veranstalten, gehalten von Daniel Rudrich (IEM/KUG). 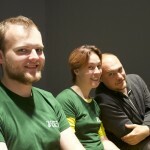 JUCE ist ein C++ Application Framework, fokussiert auf mobile und Desktopanwendungen vor allem im Bereich GUI und Plug-ins. Wegen seiner starken Processing Blocks für Audio ist es sehr handlich, um VST Plug-ins zu schreiben. Alle Workshops wurden gerne besucht und haben viel Spaß gemacht. Wir sind sehr stolz, dass jeder Workshop von Studierenden und ehemaligen Studierenden unseres Studiengangs Elektrotechnik-Toningenieur gehalten wurde. Since the wheater got colder and the days less sunnier, every student either felt the urge to sit in front of a screen and watch the latest series or even to study. As AES Student-Section Graz, we’ve decided to do something about that and, well, put everybody behind a screen. 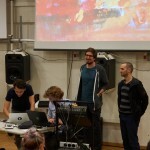 We organized the “Winter Workshop Madness”, where we put together a bundle of various workshops on exciting programming languages for several audio and electronic related applications. There were our annual workshops (novice and advanced) for Pure Data, the graphical programming language which is heavily used and developed at the IEM Graz. Pure Data enables us to build software synthesizers, create deep sound design patches or setup a digital mixing system for multichannel-audio formats like Ambisonics and binaural audio. Traditionally, it was held by our colleague Veit Winkler, former SDA Chair (2010) and longtime Pure Data user in a novice and an advanced part. Further we had a workshop in EAGLE, the Easily Applicable Graphical Layout Editor, which is a handy software to design PCB Layouts and circuit diagrams. 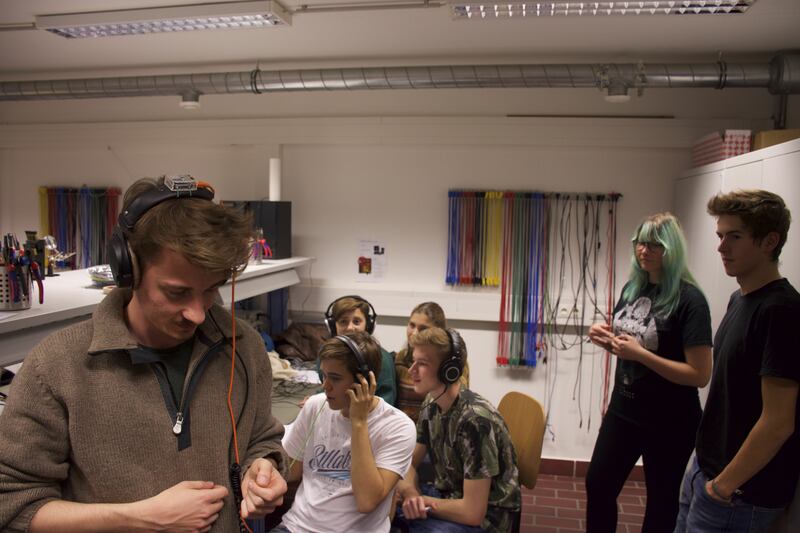 This workshop was held as extension of our longtime project “Klangwerkstatt” in which students join together to build their own analog audio gear. 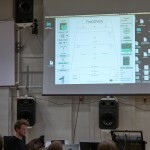 Fellow sound engineer Florian Loacker-Schöch hosted this interesting workshop for our students. Last but not least, we had the pleasure of hosting not one, but two editions of a JUCE workshop, presented by Daniel Rudrich (IEM/KUG). JUCE is a C++ application framework designed for creating mobile and desktop applications and is heavily used because of it’s GUI and plug-in capabilities. Because of it’s strong signal processing library it is very handy for writing VST plug-ins. All workshops were well recieved and were a lot of fun. We are very happy, that each workshop was held by students and former students of our study Electrical Engineering and Audio Engineering. Das neue Wintersemester ist über uns hereingebrochen und das bedeutet: UNI RALLYE! Wir durften heuer wieder Teil der Erstsemstrigen Einführung sein, bei der die frischen Studentinnen und Studenten des Toningnieurs quer durch die zwei Unis geführt werden und verschiedene spannende Aufgaben lösen müssen. 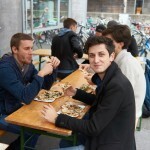 Die AES Student-Sectin Graz hat sich heuer was ganz besonderes ausgedacht: Eine binaurale Schnitzeljagt. 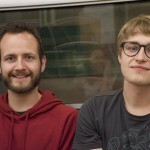 In Kombination mit dem html Tool “Walkthrough” von Thomas Deppisch und dem IEM Headtracker von Michael Romanov, Paul Berghold und Daniel Rudrich (IEM) wurden zwei Soundumgebungen erstellt in der sich die Teilnehmerinnen und Teilnehmer mit dem Headtracker bewegen konnten. Hier mussten einerseits die verschiedenen Instrumente der Band Juju Men erkundet werden, sowie Walgesang, Kabinenparty und Stockhausen in einer eigens für die Rallye arrangierten Soundlandschaft. Am Abend wurden dann nach feinstem Uni-Rallye Buffet alle Ergebnisse präsentiert und die Siegergruppe gekührt sowie ein Name für unser neues Spiel gewählt. Es trägt ab jetzt den Namen: “Sonar und doch so fern” Wieder einmal ein voller Erfolg!. Wir bedanken uns bei der Studienvertretung Elektrotechnik-Toningenieur für die Einladung und Organisation. Zuletzt möchten wir nochmals hervorheben, dass alle Bestandteile (Software, Headtracker, Bandaufnahme,…) Projekte aus Graz von Studierenden unseres Studiums waren. Wir platzen vor Stolz. Once again an AES Convention is over. Every year it is a pleasure to listen to so many interesting lectures, see familiar faces and of course meet new people. It’s always refreshing to talk to colleagues from around the world who share the same passion for sound in all it’s shapes, regardless of their profession and status. Here you are at eye level with some of the brightest minds in the world of audio. For us it was one of the most eventful conventions in a long time. Four of our colleagues submitted two papers   and were also invited to present those in two highly crowded paper sessions. Furthermore, three people submitted their projects in student competitions where Michael Romanov made it to the final in the Student Design Competition and Tim Raspel made it to the Student Recording Competition / Cat. 3 – “Modern Studio Recording & Electronic Music” final. Both actually won the silver award with lots of interesting prices. Congratulation guys! 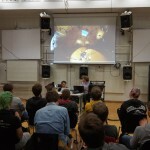 There were three other scientific contributions from Matthias Frank (IEM) , Franz Zotter , who also hosted the Paper Session “Spatial Audio—Ambisonics”, and Florian Wendt (IEM) . At the Regions & Sections meeting, where all the vice presidents talk about whats going on in their region, we received a lot of praise from Thomas Sporer (Vice President – Central Europe) and Anthony Schultz (Chair Regions & Sections Committee) for our work as a student section. 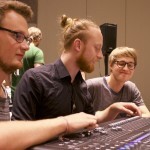 One of the main topics on all conventions is education in the field of audio. 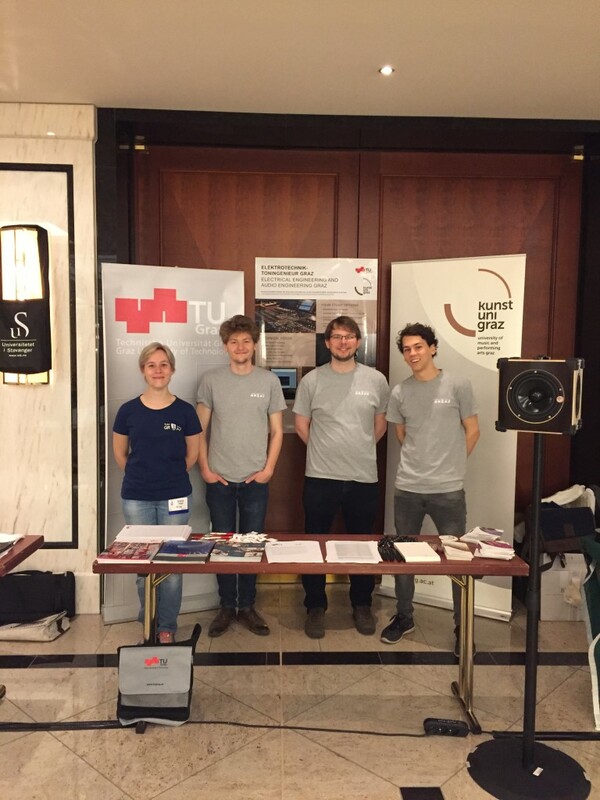 This year we contributed too and hosted a booth at the Education and Career Fair to present our study “Elektrotechnik-Toningenieur” or “Electrical Engineering and Audio Engineering” at the University of Music and Performing Arts Graz and the Technical University Graz. At the end a new member of the Student Delegate Assembly, the committee which represents the students of the AES, was elected. We want to congratulate Maryam Safi from Student-Section Hamburg on the election as “SDA Chair – Europe & International Regions”. After leaving the convention we visited the “DDR Funkaus” where former music editor Elisabeth Heller told us a lot about the former East Radio back in the USSR, her job and the whole facility. 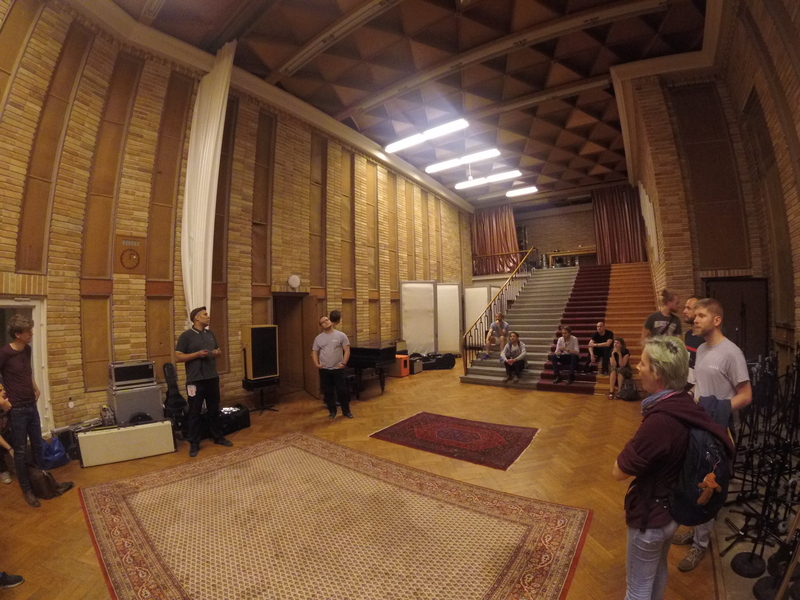 Also, we had the chance to take a look into the studio, where sound engineer Philipp Duse told us a lot about the vintage equipment and the remarkable acoustics which date back far into the GDR times. We also want to congratulate our sister sections Berlin and Hamburg. Berlin because Chris Hold managed to install a student section again and the whole Student Section Hamburg for organizing their own little convention, the “Klingt Gut Symposium“. Last but not least we thank all our colleagues from Graz who joined us. We hope you learned a lot and will join as yet again for the next AES Convention Milan in march 2018. 142. AES Convention Berlin 2017 – Danke! Wieder ist eine AES Convention vorbei. Jedes Jahr ist es eine Freude, so vielen spannenden Vorträgen zu lauschen, bekannte Gesichter zu sehen und vor allem immer neue Menschen kennen zu lernen. Es ist erfrischend, sich mit Kolleginnen und Kollegen aus der ganzen Welt zu unterhalten, die sich auch so sehr für Ton in all seinen Ausprägungen interessieren und das, egal ob studierend im ersten Studienjahr, leitend bei einer Firma oder lehrend auf einer Universität. Hier ist man immer per Du und gleich auf Augenhöhe mit einigen der klügsten Köpfe der Audiowelt. Für uns war es die ereignisreichste Convention seit langem. 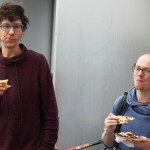 Vier unserer Kollegen reichten ein Paper ein   und durften dieses auch in zwei sehr gut besuchten Paper Sessions vortragen. 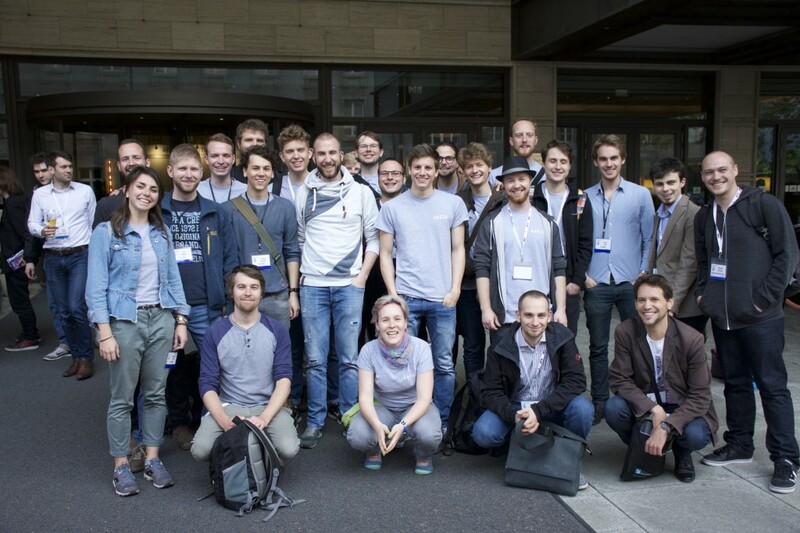 Weiters gab es drei Einreichungen bei den Student Competitions wovon es Michael Romanov ins Finale der Student Design Competition und Tim Raspel ins Finale der Student Recording Competition/Cat. 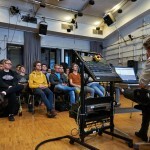 3 – “Modern Studio Recording & Electronic Music” geschafft haben. Beide haben einen Silver Award mit vielen spannenden Preisen gewonnen. Wir gratulieren nochmals herzlichst! 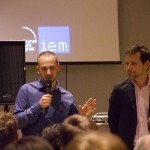 Es gab auch weitere wissenschaftliche Beiträge von Matthias Frank (IEM)  und Franz Zotter (IEM) , zweiterer war sogar Chair der Paper Session “Spatial Audio—Ambisonics”, und Florian Wendt (IEM) . Auf der Convention geht es immer sehr stark um das Thema Bildung im Audiobereich. Dazu haben wir dieses Jahr ebenfalls beigetragen und einen Stand bei der Education Fair betreut, um unser Studium vorzustellen. Beim Regions & Sections Meeting, bei dem alle Vice Presidents über ihre Region berichten, wurden wir sehr von Thomas Sporer (Vice President – Central Europe) und Tony Schultz (Chair Regions & Sections Committee), für unsere Arbeit als Student Section gelobt. 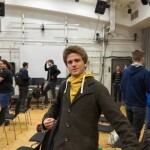 Zum Schluss wurde auch noch ein neues Mitglied in das Student Delegate Assembly, also das Gremium, welches uns als Students in der AES vertritt, gewählt. Wir gratulieren an dieser Stelle Maryam Safi von der Student-Section Hamburg herzlichst zu ihrer Wahl als “SDA Chair – Europe & International Regions”. Nachdem wir die Convention verließen ging es dann noch zu einer Führung durch das DDR Funkhaus, bei der wir von der ehemaligen Musikredakteurin Elisabeth Heller viel über das damalige Ost Radio, das Leben als Musikredakteurin und die vielen Räumlichkeiten erfahren durften. Außerdem hatten wir das Glück, einen Blick in das Studio werfen zu können, wo wir eine Tour von Tontechniker Philipp Duse erhielten. Das war vor allem interessant, da dort bis heute noch Geräte von damals in Verwendung sind und der akustische Bau seit jeher besteht und seines Gleichen sucht. Wir möchten unsere Schwestern-Sections in Berlin und Hamburg loben. 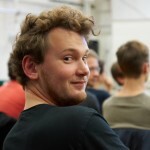 Berlin, weil Chris Hold es geschafft hat dort wieder erfolgreich eine Student-Section zu installieren und der gesamten Student-Section Hamburg für die Organisation ihres eigenen Events, dem “Klingt Gut Symposium“. Last but not least bedanken wir uns bei allen, die uns aus Graz begleitet haben und hoffen, dass sie viel gelernt haben und uns kommendes Jahr wieder zahlreich begleiten wenn wir uns zur nächsten Convention in Milano im März 2018 treffen!